This property is a golfer's paradise with a 2,840-yard and 115-slope course to enjoy. 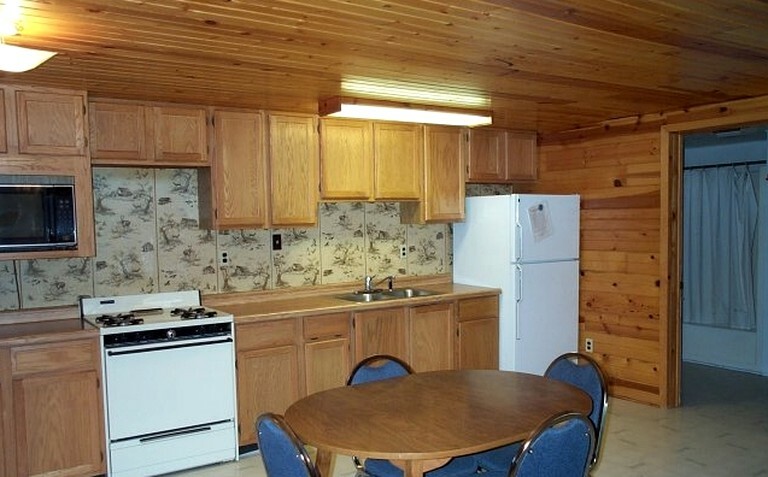 For the fishing fanatics, there is a screened-in fish cleaning house and freezers where guests can store their fish for free. A 14-foot fishing boat is also included. 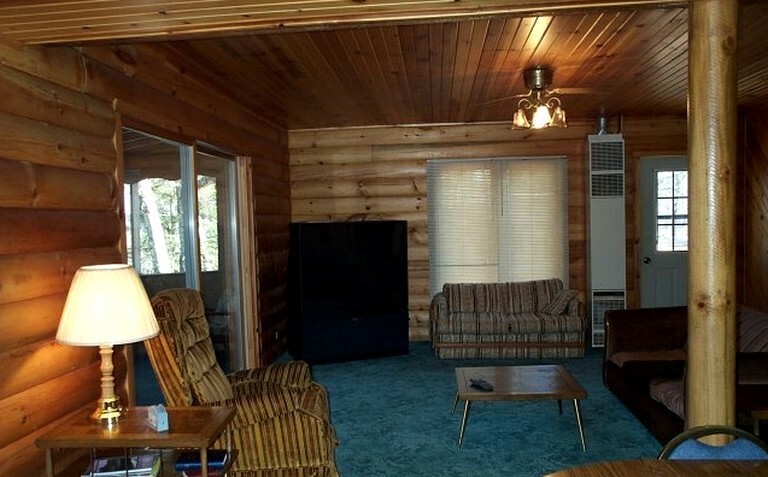 Each cabin comes fully furnished and carpeted and includes a kitchen, a modern bathroom, and a color television. With both the lake and the golf course within close proximity, guests will find an endless array of activities to get stuck into. 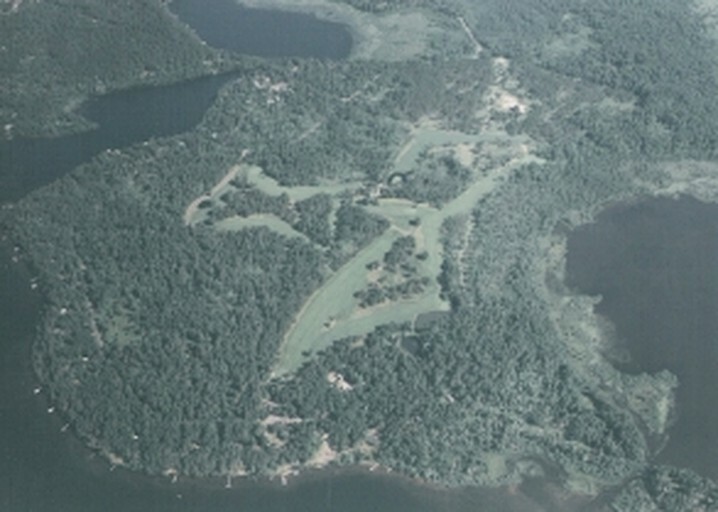 The on-site, par 36 golf course boasts 2,840 yards, 115 slopes, a 34.1 rating, and is perfect for all ability levels. 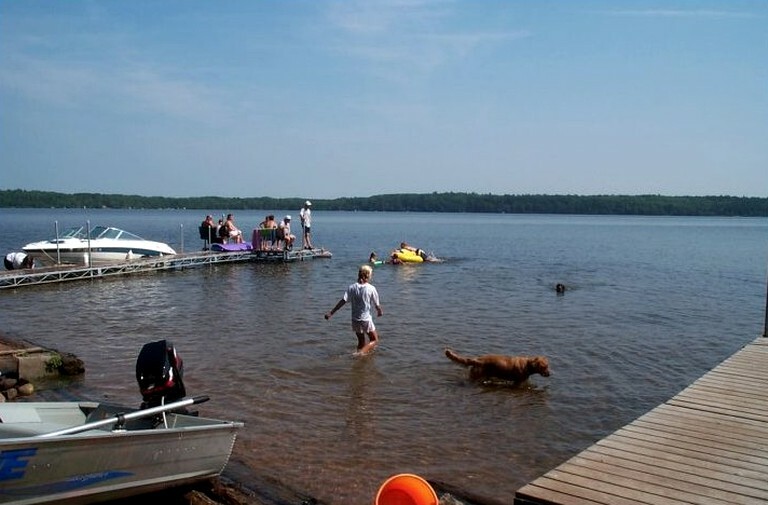 Guests will also have easy access to the Lower Eau Claire Lake which offers over 900 acres of pristine waters to explore and is a spectacular fishing spot. On the lake, anglers will have the chance to catch fish such as northern pike, crappies, walleye pike, bluegills, large muskies, perch, and both large and smallmouth bass. The months of Spring and Fall are the best seasons for game fishing, whereas Summer is the perfect time to catch pan fish. 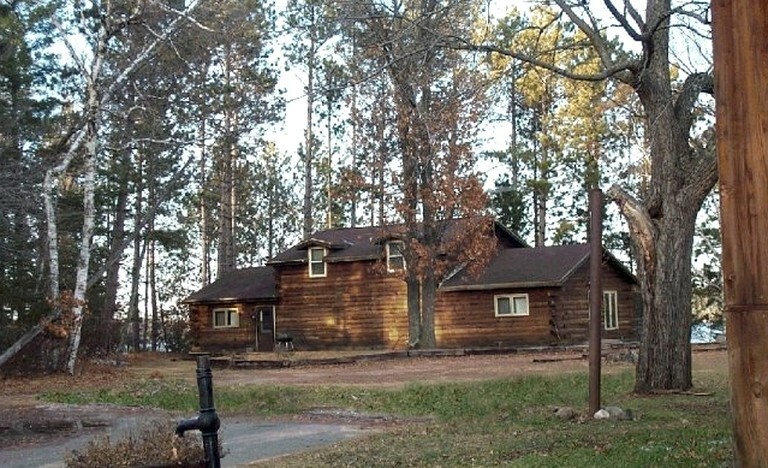 For exceptional trout fishing, guests can head to the Ox and Ounce rivers and the famous Brule River. If guests fancy venturing a bit further, they can reach the Apostle Islands in approximately two hours, which is a haven for the outdoor explorer. Here guests can enjoy over 50 miles of well-maintained hiking trails and can explore the 21 stunning islands. On the water, guests can paddle, sail, or take a boat to cruise around the islands. Additionally, the town of Hudson lies 130 miles south and is home to the stunning St. Croix River where guests can go boating, fishing, and swimming, Alternatively, Hudson offers historical sites, festivals, wineries, and breathtaking hot air balloon rides, to name just a few. 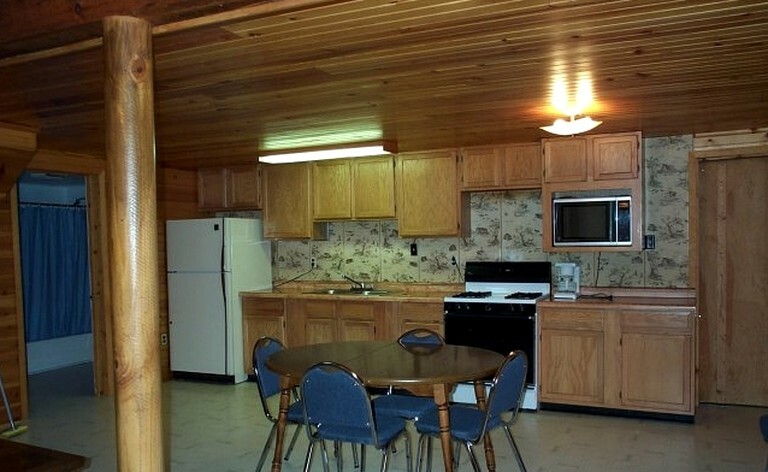 The rates for this property depend on the number of guests. From the mid-June to the end of August the property is only available to rent for full weeks from Saturday to Saturday. Garbage is collected twice a week and there is a mail service six days a week. 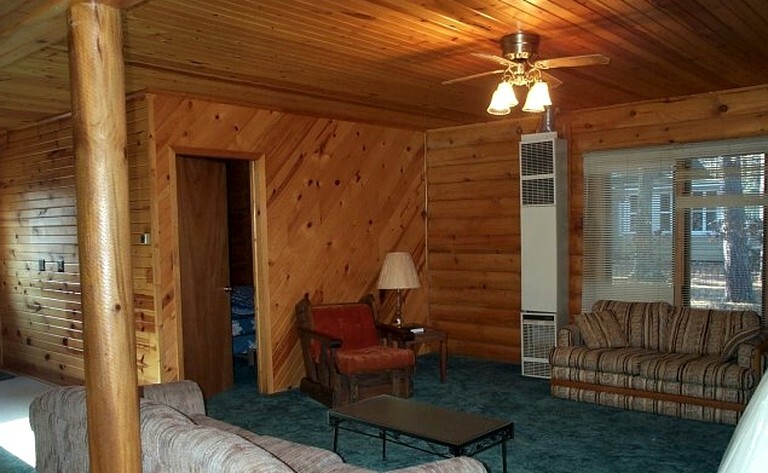 These two connected cabins can be rented either separately or together for larger groups.